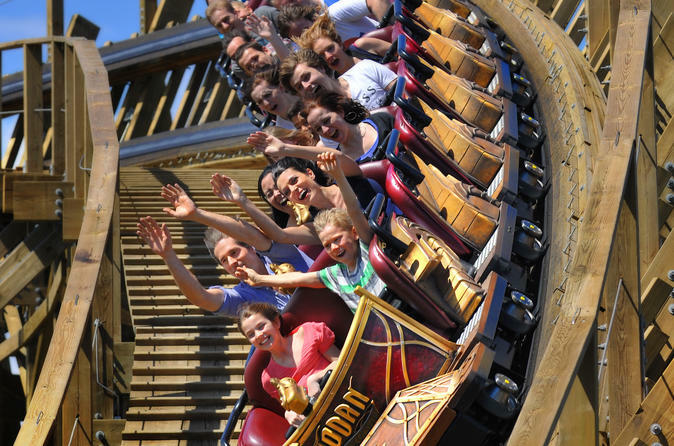 Fasten your seatbelt for Germany’s largest theme park with this 1-day pass to Europa-Park in Rust. Skip the lines with your fast-access ticket and enjoy the rides, adventures, and attractions of the 15 Europe-themed zones as you wish. Brave the coasters, discover Atlantis by submarine, tour the Ghost Castle, and enjoy 4D movies, carousels, miniature kingdoms, shows, parades, and boat trips, many of them reflecting the season you visit in. Ideal for all ages.